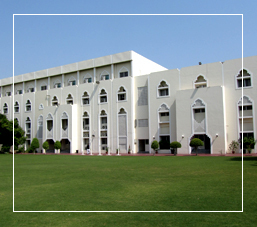 The School boasts of having a Library with a rich collection of over 36,066 books and is regarded as the largest among all the schools in Oman. The Library has also been recently renovated to provide facilities that include a set of Multimedia Computers equipped with the latest Encarta encyclopedia , multimedia software and e-books. The computers are also equipped with a 24x7 ADSL Internet connection. Students can use these computers at any time to complete their projects and assignments. The Library is also equipped with photocopying machine, with the facility of Magnetic Swipe Card, for students and parents to take photocopies of previous years' question papers, reference materials etc. ISG is equipped with a state-of-the-art - The Smart Class Rooms . Each classroom from classes III to IX , XI and XII (Science Stream) are equipped with Smart Boards , Overhead Projectors , Computer and Networked with WIFI connectivity.